You are here: Home / View22 Project Continues and Expands in 2014! View22 Project Continues and Expands in 2014! The Jackson Hole Land Trust and Trio Fine Art is pleased to announce the second year of our View22: Painting Jackson Hole’s Open Spaces project – with new artists, locations, and opportunities for community interaction. 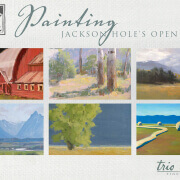 An inspired collaboration that unites art and conservation to cultivate a deeper sense of place in Jackson Hole, the View22 project highlights the role that private land conservation has played in shaping the valley’s iconic landscapes through the eyes of local painters – shared through an interactive online blog, several plein air demonstrations, and a fundraising art show. Launched in the summer of 2013 and borne from an idea proposed by the artists of Trio Fine Art, the View22 project captured the attention of local, regional, and national media outlets as Trio artists Jennifer Hoffman, Kathryn Turner, and Bill Sawczuk shared their experiences of painting Land Trust protected properties. The 2014 project welcomes three additional artists to View22, selected by jury – Kay Northup, represented at Trailside Galleries (and Whistle Pik Galleries and Collectors Covey in Texas); Lee Riddell, represented at WRJ Home; and Travis Walker, represented at Altamira Fine Art. 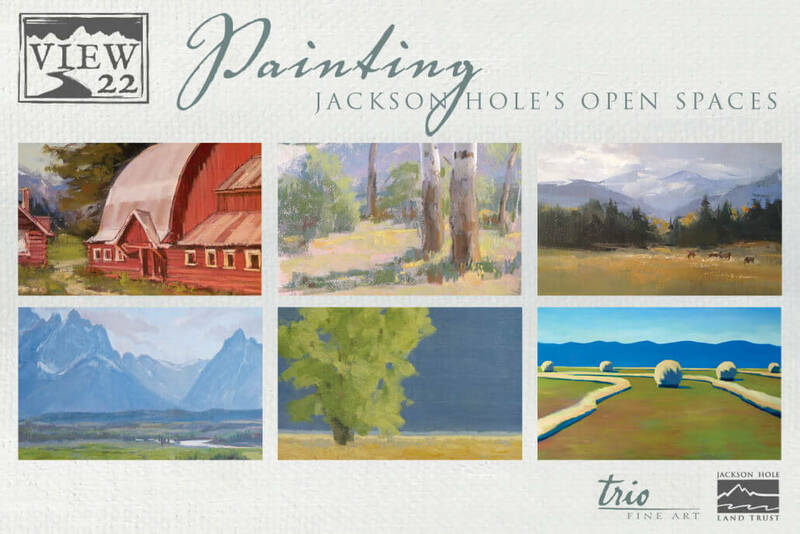 To follow View22: Painting Jackson Hole’s Open Spaces, please sign up on the right side of our page to receive email updates from us and “like” View22 JH on Facebook. Several engaging opportunities exist for the community to attend plein air demonstrations and interact with the artists of View22 this year – please visit our Events page to find out more information. https://jhlandtrust.org/wp-content/uploads/2018/07/View22_14_final_big.jpg 900 1350 imokweb https://jhlandtrust.org/wp-content/uploads/2018/04/JHLT-Logo-Parent-300x213.png imokweb2014-06-23 00:00:002014-06-23 00:00:00View22 Project Continues and Expands in 2014!